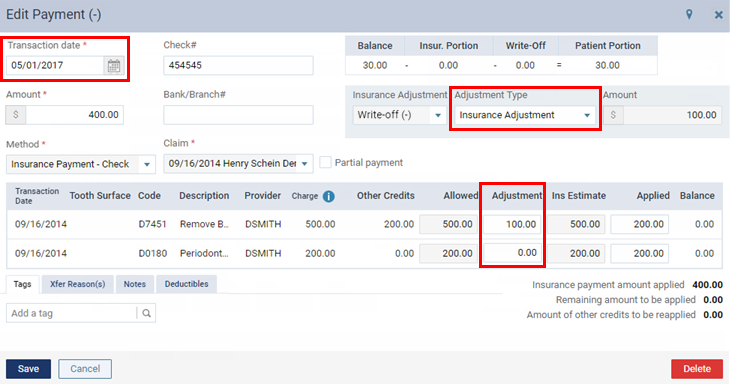 You can edit a credit adjustment that is associated with an insurance payment that was posted to a patient's ledger. 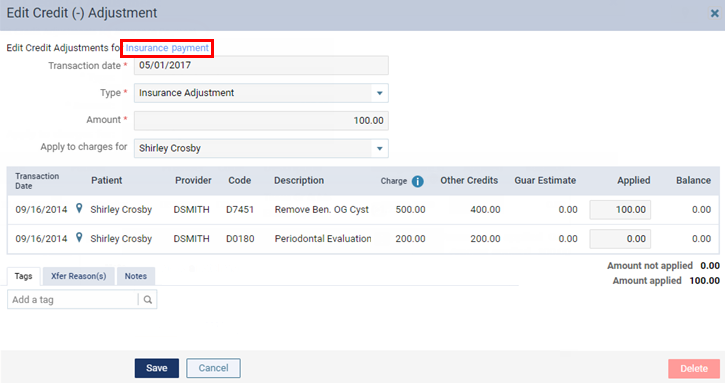 On a patient's Ledger page, click (or tap) a credit adjustment that is associated with an insurance payment for a claim. The Edit Credit (-) Adjustment dialog box appears. Adjustment Type - The adjustment type, such as Insurance Adjustment. Adjustment - For each procedure on the claim, the amount of the adjustment to apply to that procedure.